With the fermentations and macerations still in progress, it’s early days to pronounce on the quality of the wines but, even at this stage, it’s safe to say that the ’Bordeaux Rule of Five’ remains intact: every vintage ending in five or zero since 1985 has been excellent and that sequence carries on with 2015. Added to which, the less known rule that for Sauternes and sweet whites you can rely on the ’odd’ years since the turn of the century also stands firm. (I made this latter one up, in truth, but anything to encourage people to try a glass of Bordeaux’s most undervalued wine from ’05, ’07, ’09, ’11…) Meanwhile, the long unbroken run of good vintages for dry whites, arguably stretching back over the last decade, has carried on as well. The harvest at Ch Pichon Lalande, on the right in the background, with Ch Pichon Baron on the left. Ch Leoville Las Cases, looking across to Ch Latour. 2015 may not be the ’vintage of the century’ for the reds but it will certainly go down as an excellent year. As for the Rule of Five, the wines won’t quite be the same as 2000, 2005 and 2010, mainly because many of the better red wines in 2015 are destined to be more approachable sooner. There’s depth, colour, flavour, complexity and freshness but the structure and the tannins seem more supple, albeit right at the beginning of the life of the wine. And the vintage isn’t as full or as warmly generous as 2009, that other great vintage. The foundation of the vintage was the excellent flowering in late May and early June, leading to good yields of uniform bunches, followed by invigorating rain in mid-June, then a long dose of hydric stress caused by no rain for six weeks in the second half of June and July. The welcome rain in August refreshed the vines in the nick of time. 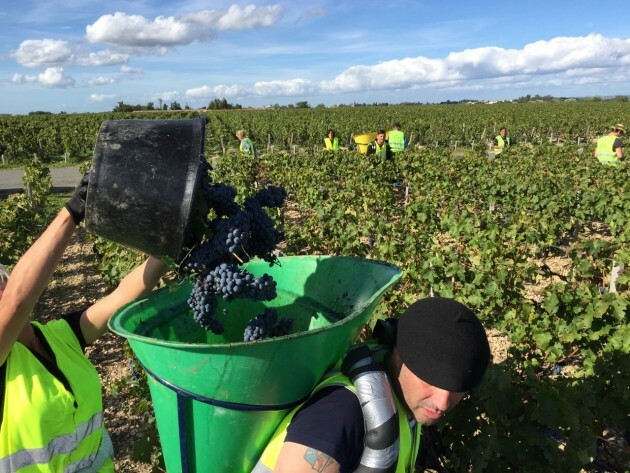 The Cabernet Sauvignon harvest at Ch Pontet Canet. As I reported in my September harvest update, the first ten days of September were dry and sunny; most of the dry whites were picked then, while the reds were ripening. 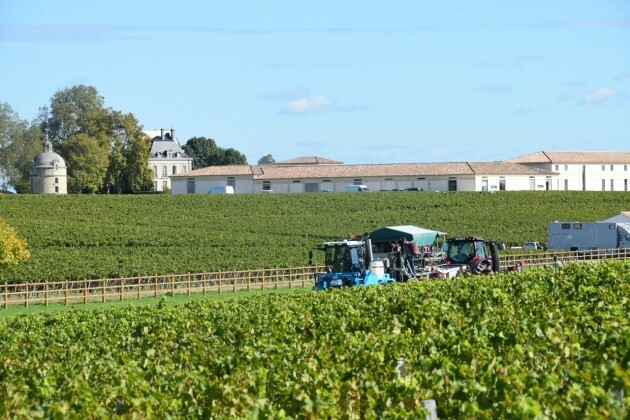 Then, just as the Merlot harvest began in some earlier-ripening vineyards, the week of 12-19 September saw some quite un-Bordeaux like weather thanks to the fallout from the distant Tropical Storm Henri. Troublesome showers gave way to bright sunshine an hour or two later. The amount of rain varied considerably from one sub-region to another: it was wetter in the northern regions of the Médoc than further south in Margaux, for example. Merlot at Ch La Gaffeliere in St-Emilion. Clear weather thankfully returned from Sunday 20 September and the Merlot harvest really began in earnest the following day. Other than some rain on Tuesday 22, it was dry and sunny, crucially, all the way through to Saturday 3 October, when it rained. Many chateaux completed their Merlots during this period, while others with later-ripening vineyards, as in parts of Saint Emilion and the Côtes, profited from the sunshine by waiting. Merlot at Chateau Smith Haut Lafite, Pessac-Léognan. 1. The one thing you could rely on with the reds was that there was no rot. I’ve seen scores of vineyards and reception areas during the harvest and saw virtually no botrytis. This was similar to 2010. Since that great vintage, the precocious 2011s were susceptible to the spread of rot during a warm, humid September, the tardy but tasty 2012s had to be brought in quite quickly in the first half of October as the rot threatened during a clammy, damp spell, and most of the red grapes in 2013 had to be picked before they were ripe because of rot, and had to be sorted like mad. 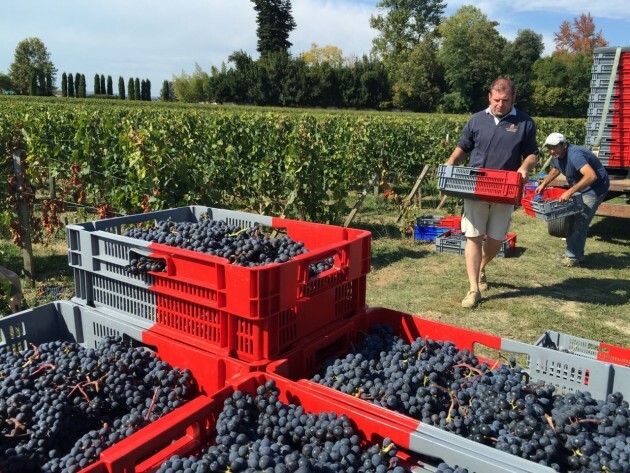 Chateaux were much more fortunate in 2014 with a lovely, dry September and early October. This crop of 2015 has pipped 2014 – it was as clean as a whistle. For the dry whites too, it’s the cleanest vintage I’ve seen – that’s not to say ’the best’, just that there was minimal rot. 2. 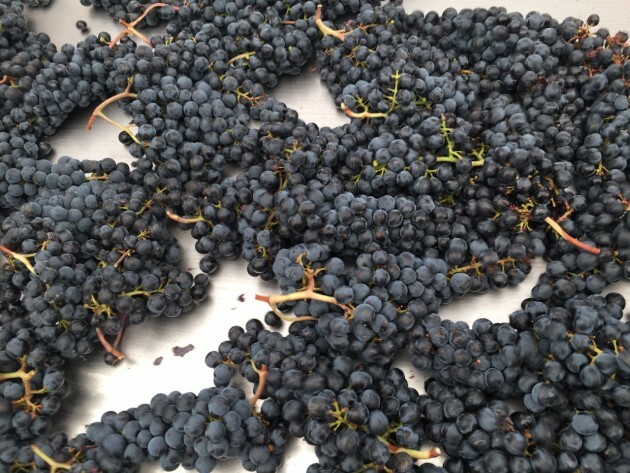 2015 is the first top vintage since the turn of the century when the harvest itself wasn’t that straightforward. 2000, 2005, 2009 and 2010 were ’à la carte’ years, the forecast being so good for days on end that you could pick and choose your picking days. The weather in the middle of September 2015, and an uncertain forecast in early October, caused many growers a few anxious moments. Merlot at Vieux Chateau Certan, Pomerol. 3. There seemed to be quite a gap between harvest dates, compared to other top years. 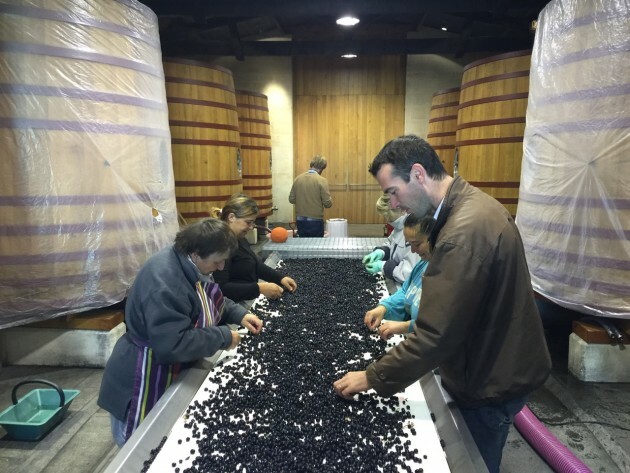 For example, at Chateau Cheval Blanc they started picking their Merlots from young vines on 4 September (the grapes from young vines are routinely picked early). 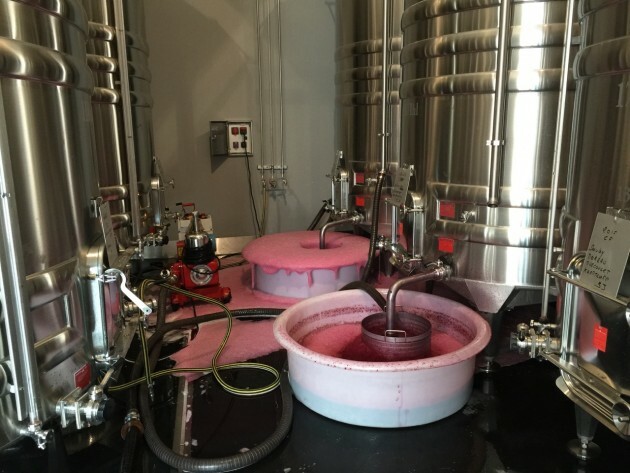 In contrast, the last block of Merlot was harvested at Vieux Chateau Certan – just a few hundred metres away – a full four weeks later. Admittedly, those latter vines are over 80 years old and their last Merlot to ripen, but no one would accuse VCC of making unfashionably heavy wine from over-ripe grapes. 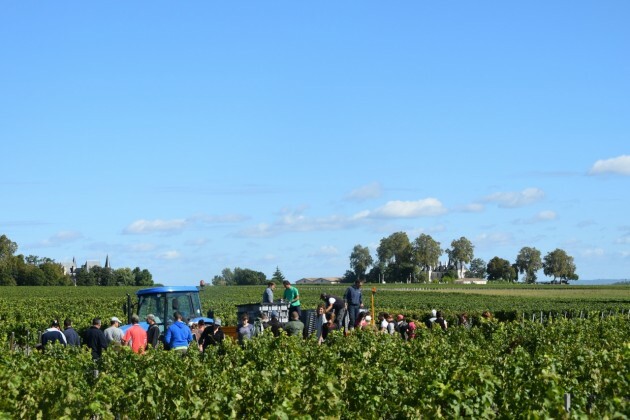 Likewise, some of the famous estates of the Médoc wrapped up their Cabernet Sauvignon harvests by Friday 2 October, while others carried on during the following week, and others the week after that. 4. Whether the wide spread of picking dates will be shown in the wines remains to be seen, but at least we won’t be tasting the results of identical strategies. Also, the rainfall in August and in mid-September varied considerably from one sub-region to another, and even from one commune to another. 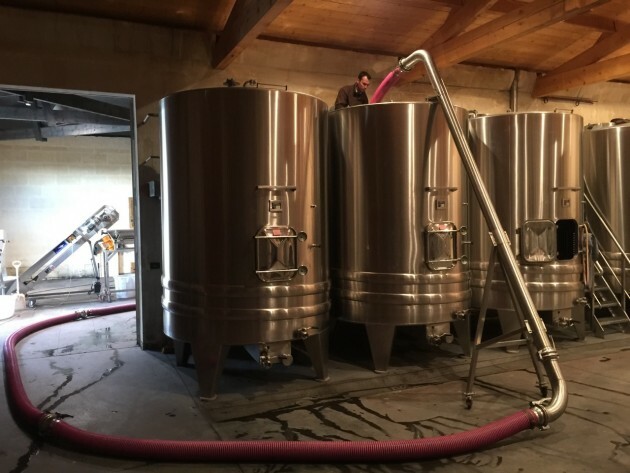 This could also have had significant impact on the outcome from one wine to another, which should make the tastings next April really quite interesting. 5. Yields are generally good on the reds, although younger vines on drier soils suffered in the drought and heat of July. There was a good balance with the number of bunches in most areas, while the berries were small and the skins were thick. That’s a good sign for concentration and overall quality. Yields for dry whites, meanwhile, were relatively low with less juice and, again, fairly thick skins. 6. 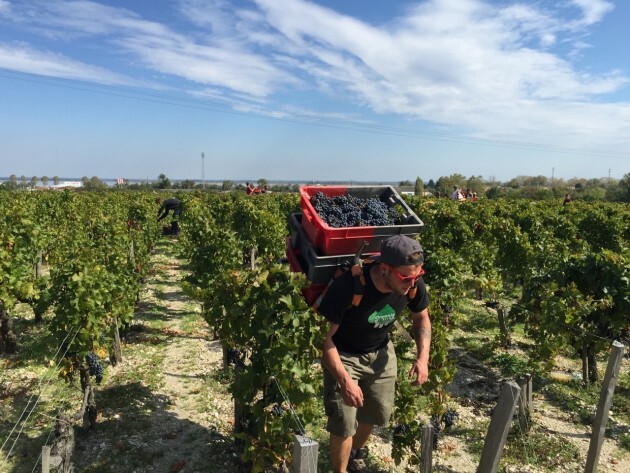 The vines across Bordeaux have rarely looked healthier at harvest time, from the southern end of the Entre Deux Mers to the north of the Médoc, and widthways from the Graves, across to the Côtes, Castillon and beyond. There was a significant risk of downy mildew at the start of May, and evidence of black rot was reported early on, and then oidium (powdery mildew) in August, but generally, the maladies were kept at bay. Ch Gloria and Ch St-Pierre in St-Julien. 7. It’s not only about en primeur. If you add up the entire production of the sought-after appellations of Pauillac, St-Julien, St-Estèphe, Margaux, Pessac-Léognan and Pomerol (to name six of my favourite places), it comes to just 5% of the wine produced in Bordeaux. Even if you blend in half the production of the much larger appellations of St-Emilion and the Haut-Médoc, that’s still less than 10% of the output, and only the top wines from these regions are sold en primeur. I’m guessing that 2015 production will be the equivalent of 750 million bottles, up from 700 million in 2014 – itself a good vintage. Even if you discount the bottom third of the pyramid, there’ll be plenty of seriously drinkable Bordeaux around in the next few years, and it won’t all cost a fortune. Some absolutely fabulous photographs and you don't make the mistake of so many who publish without captions. Some readily recognised, others not. The vendage is looking good for you Gavin (and the rest of Bordeaux). Looks like the best since 2010; you could do with a break and it looks as though this might be it! Very ashamed it has take n me two weeks to read your excellent report on the harvest and the 2015 vintage. It makes fascinating reading and by all reports 2015 should be an excellent vinatage. I loook forward to tasting it. Congratulations on the super photographs! With every good wish. (Am not sure where pamelamedoc came from!